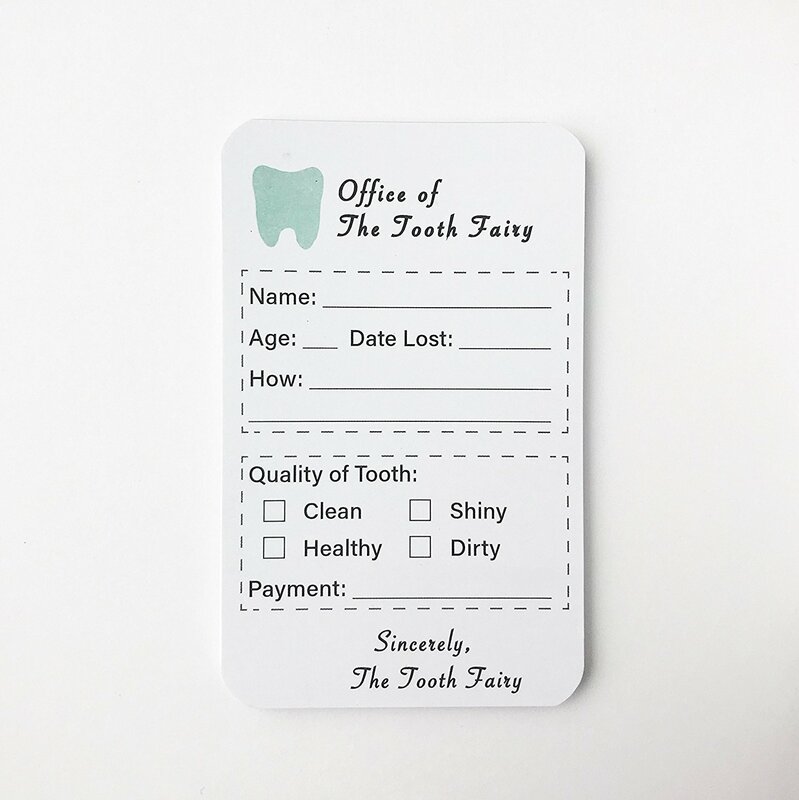 One of my favorite parts of Small Fry (and why I keep doing Bijou Market each year) is being able to help promote small businesses! I’ve started a few in my day and know just how much courage and determination and work goes into it. 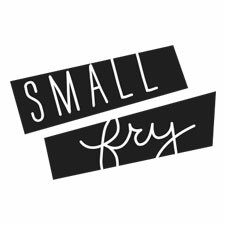 I don’t think I could count how many small businesses we’ve shared on Small Fry over the years, and I won’t ever stop! Today is a fun one because it’s a long time friend from ELEMENTARY SCHOOL! Candace and I went to school together for a handful of years and she has always had such a refined, classic taste. So when she told me she was launching an Amazon shop where she brings updated design to classics for kids I knew it would be so good! True story: I was obsessed with her penmanship and would try and copy it exactly. Her “a” was my personal favorite… #creeper. 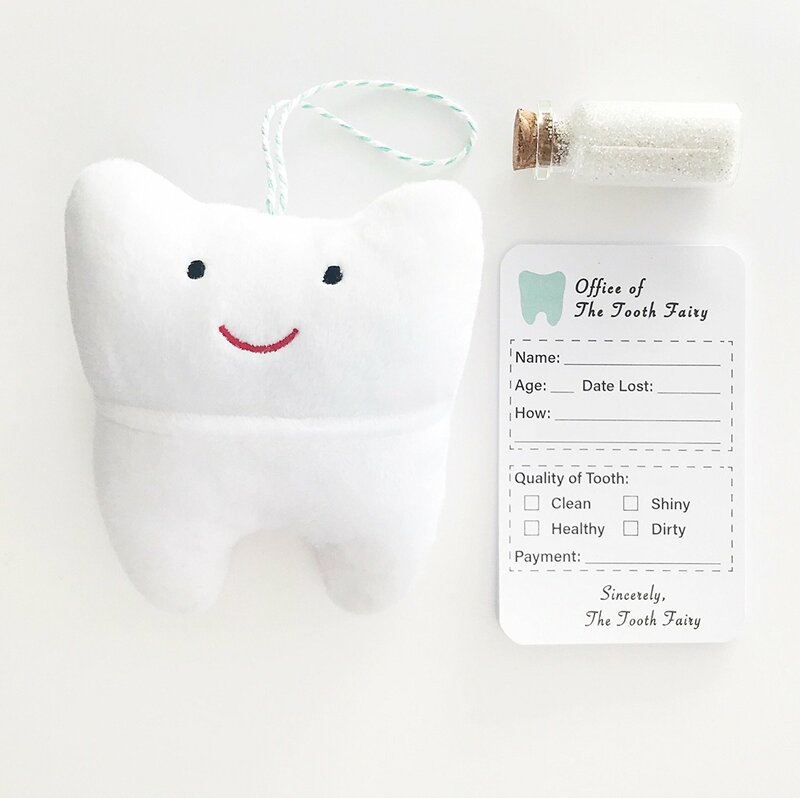 She just launched and adding new products all the time but her Tooth Fairy Kit is so darling. 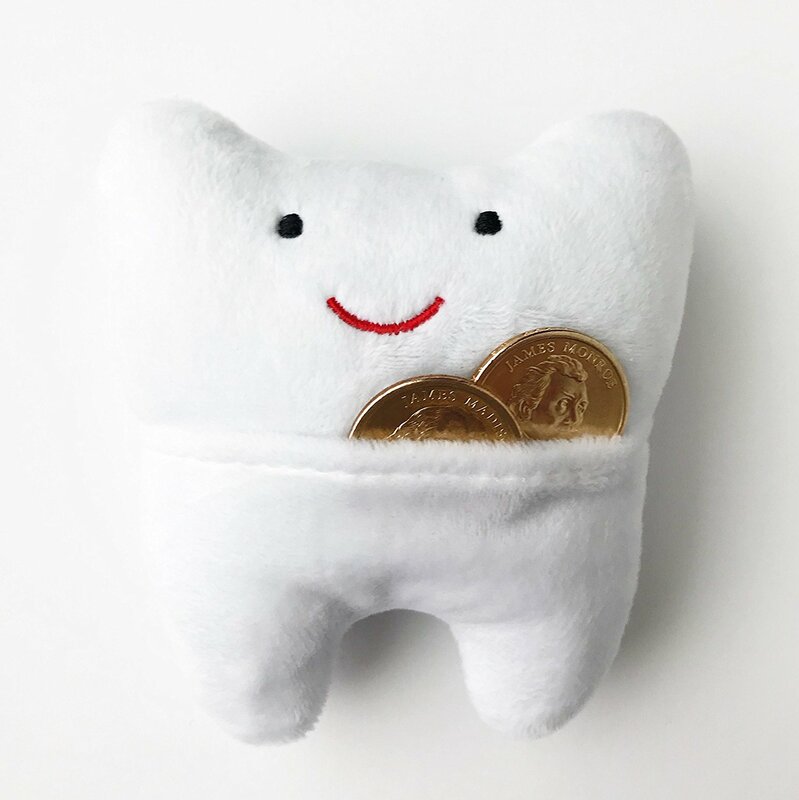 As someone who has been wholly unprepared for the tooth fairy business (like digging in my couch cushions for quarters, or waking up in a cold sweat at 6 am, sending Russ in to put the money in and Cal looking him straight in the eye: “So you’re the tooth fairy, huh?” He literally tells everyone he has a “Dad Fairy.” #fail) I wish I would have had this years ago! Anyway, keep your eye on Cairn Co. I am excited to see what Candace does with it! I’m giving away 15 sets on IG if you want to win head over there! 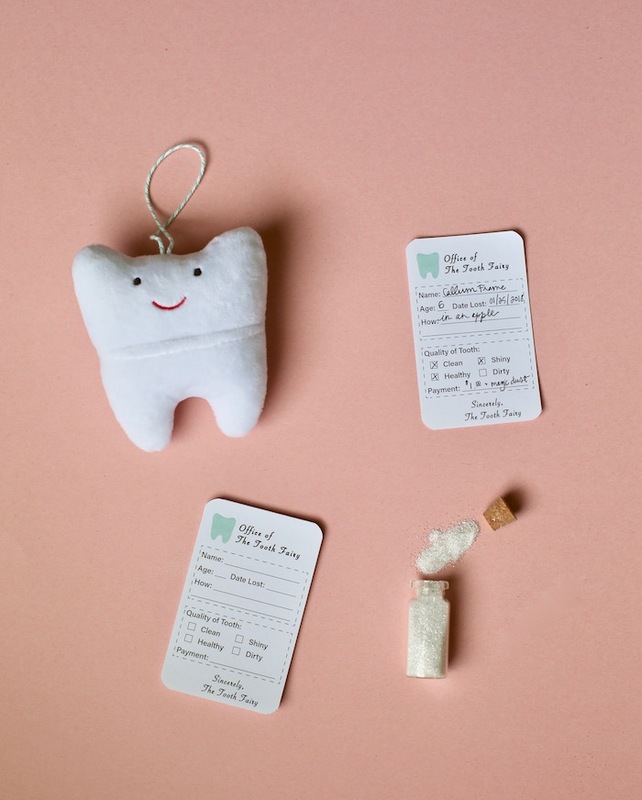 This kit comes with this darling Tooth Pillow, A pad of notes from the tooth fairy and glitter dust to make everything magic and sparkly!